Journey Therapy, Gestalt Therapy counselling, Transpersonal Psychology training, Reiki Healing levels 1-3, NLP Certified practitioner, Counselling people with cancer, supervision and teaching in the areas of counselling and the therapeutic relationship. Born in Hereford on the Welsh Border, Louise has a deep love of red earth, rivers and rolling countryside. She studied Biology and pursued a first career in medical publishing, culminating in editing medical books at WHO in Geneva. On returning to London in her late 20s Louise faced a period of deep depression, realising that her life was seriously off track. In order to recover she re-connected with her love of dance (and managed a Dance Centre, DanceWorks, along the way), came home to her own heart and intuitive nature, moved to Devon and trained in a range of therapeutic and spiritual approaches that encourage, at their core, the ability be fully present in each moment. As a therapist for 20 years she has worked in hospitals with women recovering from difficulties in pregnancy and birth, and recovering from abuse, and for the last 10 years with people with leukaemia. 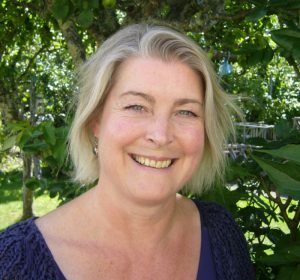 Alongside her career in Counselling, Healing and Complementary therapies, Louise has explored nature-based spirituality from several traditions, and brings all this together in the Journey Therapy she offers on retreat, and in her private practice that she has run in Devon since 1996. Louise offers emotional support as you de-tox, and Journeying sessions to help with releasing, balancing and re-charging your energy system. She combines traditional Journeying with techniques from Brandon Bays, Dina Glouberman’s Imagework, Gestalt and NLP to provide you with a unique experience, precise for your needs and intentions at the time of the session. “I loved the journey, it was literally awesome. I could not get that deep unaided. Using guided visualisation this gentle, but dynamic technique, finds, resolves and releases difficulties and traumas that are locked in the body ‘memory’ on a cellular level. These difficult body ‘memories’ can cause physical, mental and emotional distress and a sense of ‘stuck’ or ‘blockage’ in our life. This technique allows the body to heal itself. It is incredibly simple yet deeply profound work. Coming from ancient roots and melding with modern psychology, this profound healing method that was further creatively developed by the inspirational Brandon Bays as ‘The Journey’. Louise trained in traditional soul-retrieval Journeying which is a method that is extremely powerful for re-claiming ‘parts’ that may have become lost in past relationships, family or work situations, disturbing experiences or any place, person or animal we have loved and lost. Some symptoms of ‘soul loss’ are feeling stuck in the past, unable to move on; repetitive thoughts of a situation or person; addictions; lack of energy or attention for the present moment; being accident prone or just having a sense that something is missing. Journey Therapy can also be used at the inspirational end of the spectrum, to connect more deeply with our wisdom and knowing, to form intentions and goals, and to develop our capacity to live more creatively and with more connection with our soul, community and environment.